Lydia, what have you been up to since the last time you were here? Wow, it’s been almost three years and a lot has happened. I’ve traveled for almost a third of that time, I began writing my first Young Adult book… My best friend got married and moved 10,000 miles closer to me, I won a seven year battle with Lyme disease, published two more books, and made tons of mistakes and through them learned a mega amount about life. How did you meet Buddy Davis? You have traveled a lot. Do you have a favorite place you have visited? 1. Visiting the Beje in The Netherlands, which is the house Corrie ten Boom lived in. Any of you who don’t know who Corrie ten Boom is should really look her up, her life and writing is fantastically encouraging and challenging. 2. The mountains near Durango, Colorado. It is simply breathtaking there…. So, so much beauty. 3. The Swiss Alps. Ever since reading a book as a child that took place in the Swiss Alps I’ve wanted to see them for myself. Getting to read the book while sitting in a field of flowers under the shadow of the Alps was a dream come true. 4. Snorkeling in Maui, Hawaii felt like I had entered a whole new world that was incredibly colorful and mysterious. I even got to swim with huge sea turtles which made an already utterly amazing experience even better. Your latest book is about Ice Age creatures. Do you have a favorite animal from the book? I find all the animals in the book to be fascinating… Saying Baluchitherium is pretty fun, though so I might choose that one. Plus, he’s the largest land mammal ever, which is a rather prestigious record to hold. It would have been fun to have one as a pet. These books are from a creationist point of view. Why do you find this important? The reason I think the books are important is they can help teach people how to defend their faith. One of the most attacked books in the Bible today is Genesis because it goes against what some scientists say. The reason I think being a young earth creationist is important is because that’s how God’s Word very clearly says it happened. When people believe in evolution, they stop believing in the ultimate authority of God’s Word. Either evolution is right or God is right, but when there are two opposing views, they can’t both be right. When the facts are presented fairly, Creation makes far more sense than evolution. Where can people get a copy of this book? You can find the book on the Answers in Genesis website here or Amazon here. And, I’ve got some exciting news about Cool Critters of the Ice Age: It just came out in Spanish! It’s rewarding to know that Spanish-speaking people all over the world will be able to read about these crazy-neat animals God created. Find the Spanish edition here. I’ve been staying busy working on a Young Adult book, When Life Hands You Lymes, and I also have the first draft of one and a half books in a semi-fantasy Young Adult trilogy written. Thank you so much for having me on here, Sarah! 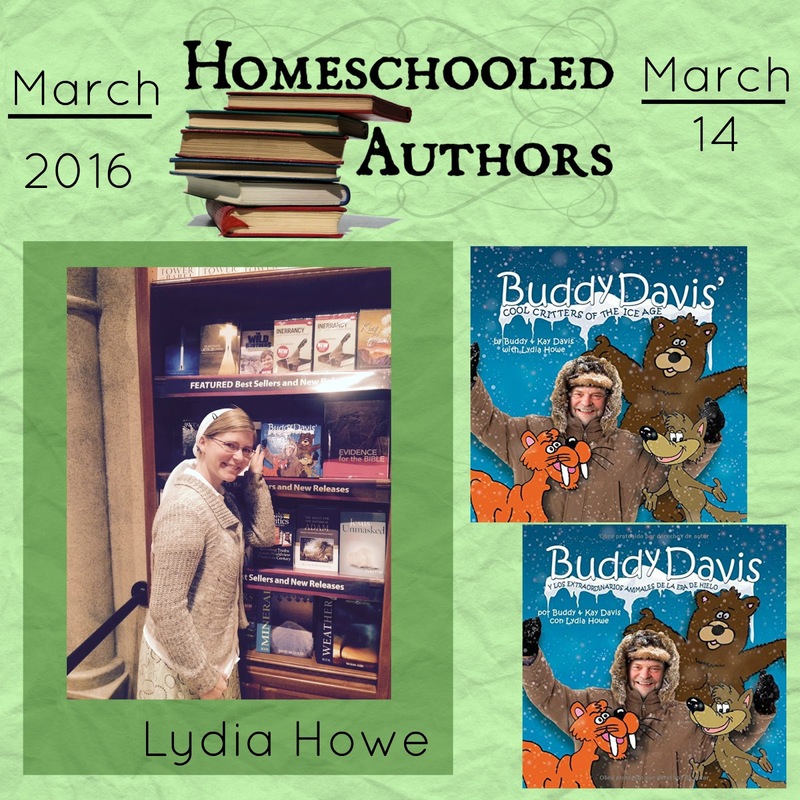 I appreciate all the work you do to keep Homeschooled Authors running smoothly.